Your property represents a significant investment, and any damage to your home or business can be devastating both financially and emotionally. That’s where A-Emergency Services & Restoration comes in. As your local, property damage specialists, we can provide you with the prompt, efficient home restoration you need and the peace of mind you deserve. In fact, we provide a full spectrum of property damage restoration services throughout Chicago and the surrounding suburbs, including: Skokie, Lincolnwood, Morton Grove, Niles and beyond. Whether your property has sustained minor water damage or has extensive fire and smoke damage, you can count on professional, experienced crews to handle your home restoration needs quickly and proficiently. Not only do we provide you with exceptional property damage restoration services, but we work with you to navigate through the claims process, remaining sensitive to your individual needs. So, you can be confident that you are in the most capable hands when you choose A-Emergency Services & Restoration for your needs. After the initial emergency response, pack-out, and cleaning, comes the reconstruction. Not only will A-Emergency Services & Restoration help you overcome the devastating setbacks caused by fire, flood or vandalism damage, but we will guide you through the entire process, and get you back in your property as quickly as we can. Our goal is to begin your property damage restoration as swiftly as possible, and in most cases, we can begin the home restoration process before your insurance company has issued any payments. As a local company, we have the ability to offer rapid response to homeowners and businesses in Chicago, as well as from Niles to Skokie, Lincolnwood to Morton Grove and everywhere in between. 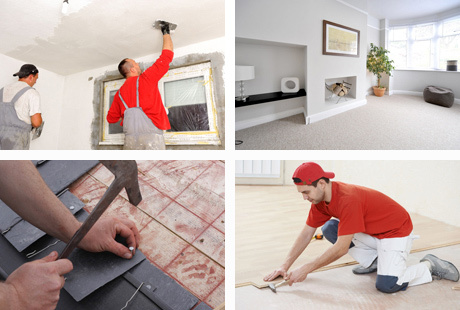 Most importantly, all home restoration work is completed by our competent, licensed and insured contractors. This allows us to ensure top quality workmanship, minimize damage to your property and get you safely and comfortable back in your home as quickly as possible. At A-Emergency Services & Restoration, we understand the stress and frustration that comes with enduring damage to your property. Let our expert team help you step by step, streamlining the restoration process and making the best out of this difficult situation. No matter the severity of your disaster, we’re there! We are the best in damage restoration in Chicago.